When it comes to beverage packaging, misconceptions abound. 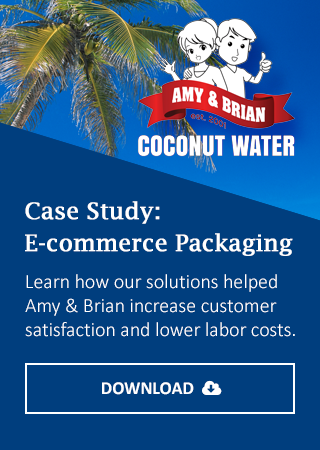 For the most part, technology has outpaced the processes and standards that businesses in the beverage industry have long used, leading to a variety of options that many businesses do not even realize exist. To give you a better idea of what can and can't be done in beverage packaging, here are a few common misconceptions. Most beverages sold in aluminum cans come with the design pre-printed on the aluminum. However, this is not the only solution that is available. Today, shrink sleeve labels can be applied to aluminum cans in a way that looks amazing. The benefit of using shrink sleeve labels on aluminum cans is that you don't have to order a massive amount of pre-printed cans. This is advantageous for smaller companies or businesses who are releasing a limited edition of a beverage; such as a craft beer brewery packaging their seasonal beer for the holidays. To be sure, there are some standards that must be met in beverage packaging. While this can somewhat limit the number of packaging options you have available, that doesn't mean that you can't get creative with your beverage packaging. The truth is that there are a wide range of options to choose from, and by working with a packaging engineer you can design a packaging solution that is entirely unique and creative. Some creative tactics include leveraging the influence of color, a throwback label or design and a variety of flexible packages. Flexible packaging such as stand-up pouches aren't just for children's beverages. The truth is that a number of companies are making use of flexible packaging for a wide range of beverages, including juices, mixers, and even wine. In addition to being unique, flexible packaging comes with a number of other advantages such as added convenience and more room to incorporate a design. If you are looking to think outside the bottle in your beverage packaging, flexible packaging is a great option to consider. With a little bit of imagination and ingenuity, you'd be surprised by the number of unique beverage packaging solutions that are available today. With so many misconceptions about beverage packaging, now is an exciting time to ride the trend and create a packaging solution that will set you apart from the competition. If you would like to learn more about how we can help you create your best beverage packaging solution, we invite you to contact us today.